Living with missing teeth presents daily struggles that most of us take for granted, such as eating and chewing the foods we normally enjoy. Smiling and talking in front of others may feel embarrassing. It also presents challenges for your oral health. Without a replacement your bone will begin to deteriorate and your teeth will begin to shift into the open space. The good news is Dr. L. King Scott has solutions for you! He’s been helping patient’s restore their smiles for over 35 years, so can rest assured that you’re in expert hands when you work with him. Here are some of the innovative options Dr. Scott offers for missing teeth in West Monroe. A bridge is an ideal solution for patients missing one or more adjacent teeth. Anchored by a dental crown on each side, prosthetic teeth are used to literally “bridge the gap” left by your missing teeth. Your bridge is custom shaded to match your existing teeth and complete your smile. Keeping your anchor crowns clean with excellent brushing and flossing is important in order to ensure the longevity of your bridge. 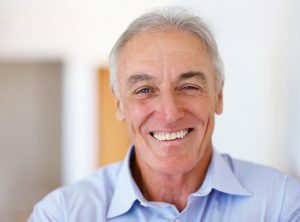 Dentures in West Monroe are designed to replace an entire arch of teeth, while partials are ideal for patients who still retain a large number of healthy teeth. Both are removable appliances, and a denture relies on suction or a dental adhesive to stay in place. Partials anchor to your remaining teeth with a metal clasp and fill in the spaces with prosthetic teeth. Dentures have a bit of a learning curve as you’re getting used to talking and eating with them, but you’ll appreciate how it immediately restores your smile. Dental implants are by far one of the best investments you can make in your oral health if you’re missing a tooth. This is because they are the only option, which replaces both your root and your tooth, which protects the integrity of your oral health. Implants use a biocompatible titanium post to replace your root and create the stable foundation for your new crown, which replaces your tooth. You’ll enjoy both the function and beauty of your new tooth and your restored smile. Dental implants in West Monroe can also be utilized to provide support for dentures and dental bridges. This is giving denture wearers the option of choosing a much more secure and stable fit. Dr. Scott can help you determine which replacement option is right for you during a simple consultation. If implants are in your future, he can guide you through treatment from start to finish, so all of your procedures will take place in the comfort of our office, with the team you know and trust. Contact our office today to schedule your consultation and learn more about your options.